There are many things to take into consideration when choosing the best hot tub. Aside from the perfect shape and size to fit the contour of your home, you have to know the right seating capacity to give everyone a niche in your relaxation haven. On first inspection, appearance and ease of use are also factored in, including available spa chemicals that you can use for cleaning and maintenance. Your experience in using your tub will also vary depending on the hot tub jet that you’re going to use since different hot tub pumps also give a mixture of therapeutic waves and motions. You also have to know how to clean hot tub jets. Precise targeting of tension points in massage is paramount. Soft, lapping bubbles are meant for relaxation of the whole body while forceful pulses are designed for deep relaxation of strained muscles. Creating just the right balance of both ensures a totally rewarding experience for you and your family. Hot tub air jet pumps give you a whole-body massage with an endless flow of bubbles and wave current s. The goal is to lightly massage each pressure point of your body to make you feel refreshed and invigorated after stressful office work or strenuous gym session. 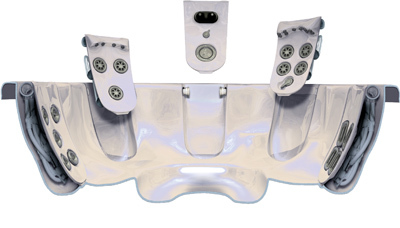 Some Balboa hot tubs come with swirl jets that gently massage tight muscles while hot tub accessories adjust the pressure exerted by the pumps. Some swirl jets have spiral, rotating patterns that target more than the conventional air bubbles and create more surface tension than the basic jet pump. Oscillating jets are best for back massage with wavy motions created by the continuously flowing current along the back. For sports injuries and sprains, whirlpool jets are recommended because they can focus pressure on the affected area using big openings that extract energy from other sources. Whirlpool jets are one of the most accessible, user-friendly types of massage treatment for anyone who wants to enjoy the wonders of hydrotherapy at home. Another type of hot tub jet parts that you can get is pulsating jets, which are another form of deep massage treatment. 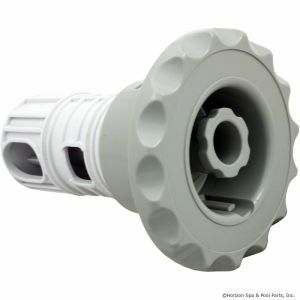 Many people combine this with another hot tub pump to complement its motions with rotation or spiral currents. Lastly, there’s nothing better than mini jets at targeting exactly the areas you want to relieve of muscle tension. They are equipped with powerful streams of water that, when put together, can provide simultaneous blasts of small water currents on a broad surface area. If you want to target your tired shoulders and neck, choose a hot tub jet replacement that gently aims at these tired muscles without aggravating the tension. They are usually adjustable so height differences won’t be a factor anymore. No one has to stoop down or slouch just to feel the flow. On the other hand, putting replacement hot tub jets lower in your hot tub spa allows the jet pumps to target your lower body. This entry was posted in hot tub parts, spa and tagged Hot Tub Jets, hot tub parts, luxury spas, spa, spa for sale. Bookmark the permalink. Are free hot tubs worth the hassle and costs to move? Why get a spa cover for your hot tub?